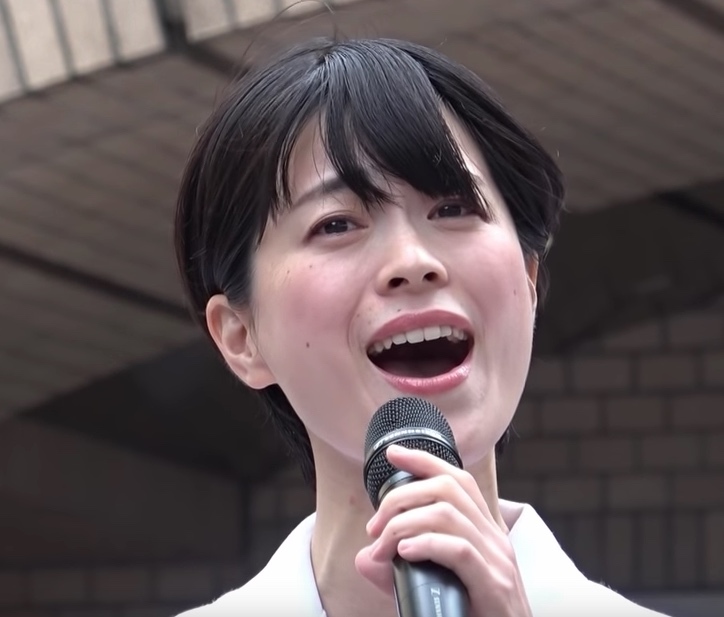 Several months ago I posted the first English article in which I described the story how Yukari Miyake became the singer in the Tokyo Band of Japanese Navy. Fortunately, it seems that many foreigners have read it and are interested in her. That made me realize the importance of posting articles in English in order to have many people in the world know and love her. Therefore, I decided to post English articles from time to time. This time I would like to introduce her recent activities and the videos I took at respective venues. 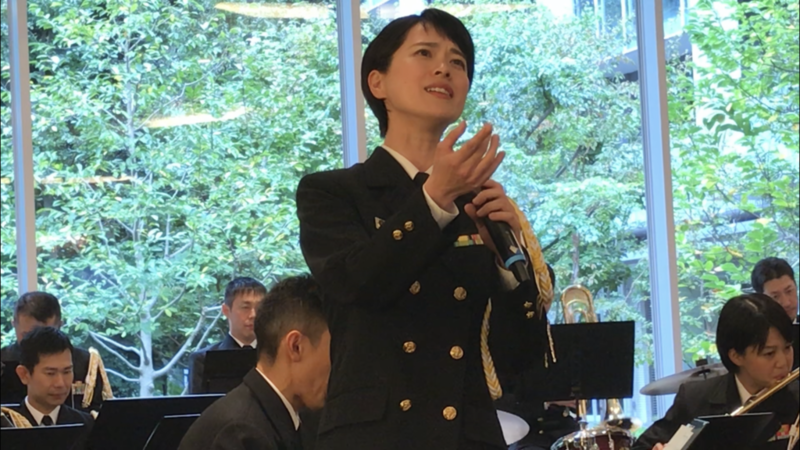 On 12th September 2018, Tokyo Band of Japanese Navy held the Lunch Time Concert in Akasaka and Yukari Miyake sang a song of Hitoto Yoh "HANAMIZUKI (Dogwood)". This song was written and composed just after the 911 tragedy in the United States. An e-mail to Hitoto Yoh, a famours Japanese musician, from a friend in NY inspired her to write this song. The dogwoods was presented to Japan from the US more than 100 years ago as a return to the cherry blossoms presented by Japan, and is the symbol of the friendship and good relations between the two nations. It is said that this song was written in hopes that peace will come to the world beyond vengeance. Yukari Miyake seems to be singing with all her heart trying to convey that thought. Prior to the concert, Yukari Miyake, after having lunch, spent all her break to satisfy her many fans longing for her autograph or photos with her. This surprising hospitality is why she is always loved by many, I suppose. On 18th Oct. 2018, there held the Music Fest in Togo Shrine's Forest 2018 at "Le hall Togo" in Harajuku, Tokyo, and the Tokyo Band performed one hour long concert. Band members dressed in cool black uniforms presented splendid performances. With no video camera with me, I dare challenged one hour long hand-held shooting with my smartphone. So thank you for forgiving me my uploading this video with some trouble in image quality. With "Patoriotic March" as the opening, the concert started. The program of the concert was as below. And after the program two pieces were performed responding to the encore. It was a satisfying concert with very fulfilling content. After the concert, the audience had time to interact with the Band members, some asked for their autographs, and some tried to shoot their pictures. Below is the video of two vocalists, Chief Petty Officer Ryoji Kawakami and Petty Officer 3rd class Yukari Miyake, taking a pose for photo takers. How was it? I intend to post English articles like this one from time to time, so I would like you to visit this site occasionally.